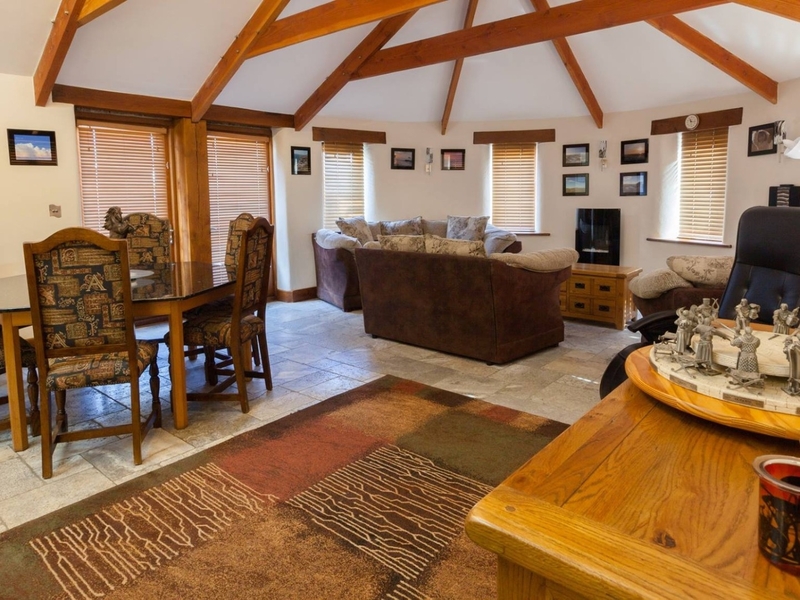 This beautiful holiday home in the small hamlet of Bossiney, on Cornwall's stunning north coast is Hideaway. Just a short walk from the historic village of Tintagel with its Arthurian castle and where the clifftop Coast Path leads to the sheltered sandy cove of Bossiney Haven. Hideaway has many family friendly facilities, including a children's fort with swings, slide and sandpit, all found in the safely enclosed garden. From here you can watch the horses being trained in the owners' stables, which are in the grounds. Inside, Hideaway has been finished to an exceptional standard throughout and has a fabulous open plan living area with a bespoke fitted kitchen. There are two stylish bedrooms, the master double which has an en-suite shower room and a twin. The superb family bathroom has marble tiled floors, a granite sink, walk-in shower and double-ended bath. The spectacular scenery and glorious beaches of North Cornwall are not to be missed and once you've seen the sights, and 'yomped' your way along wind swept the cliff path, you can return to Hideaway where a little luxury awaits. Central heating. Electric cooker, fridge, freezer, microwave. Washing machine, tumble dryer. TV/DVD, WiFI. Cot and highchair available on request. Bed linen and towels included free of charge. Off road parking for two cars. Lawned garden. Up to two pets accepted. No smoking. Shop/Pub 1/2 mile, Beach 1/2 miles.